Holidays – are they really to unwind? Absolutely! Holidays are to make us release from the everyday routines! Holidays come in different styles for everyone – sun and beach holidays, adventure, culture, or escorted tours are to name but a few. Why not try this adventure for your next holiday? 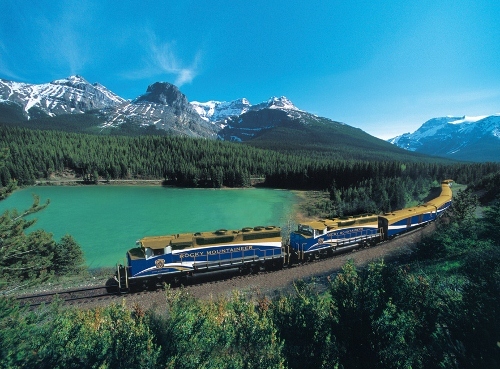 Travelling onboard the Rocky Mountaineer is an unforgettable experience. The all daylight rail journey recaptures the romance of rail travel as it follows the historic rail routes constructed over 125 years ago, uniting the country from coast to coast. The entire train ride takes place during daylight hours to ensure guests enjoy every minute of the breathtaking scenery, which includes glacier-fed lakes, majestic mountain ranges and ferocious rivers. On all four Rocky Mountaineer rail routes, travellers experience exemplary guest service, for which the company is renowned. 12 day tours from Vancouver to Calgary, Alberta and 9 day tours from Calgary to Vancouver. Come and experience the beauty of the Rocky Mountains! They are right here in our backyard! Spectacular!